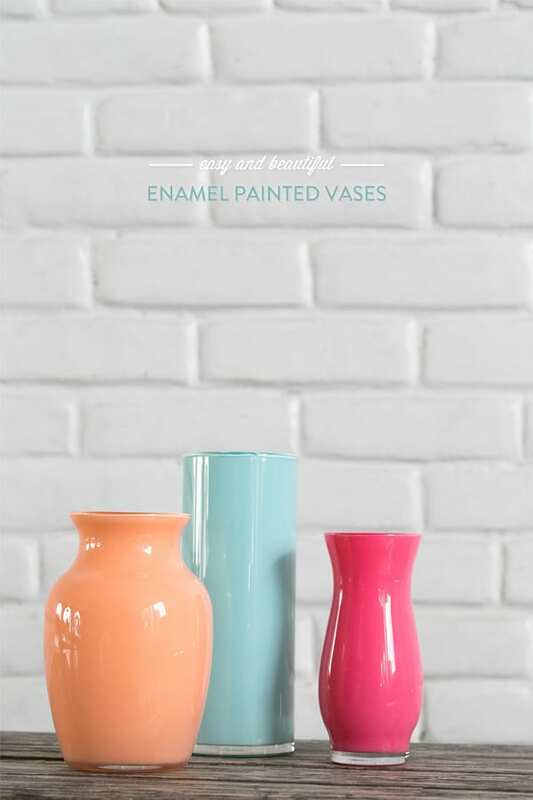 Enamel painted vases – I’m in love! If you like to paint, I have a really fun project to share today! 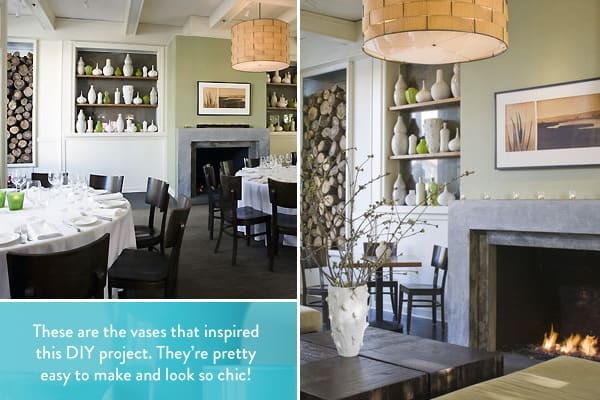 My inspiration for these easy DIY enamel painted vases came from a restaurant in Sonoma called El Dorado Kitchen. I’ve always loved the fresh, modern design of the lobby and the eye-catching green and white enamel painted vases that are displayed on white shelves. I decided to make my own cost-friendly version of this design, which included a quick Martha Stewart tutorial and a trip to the Dollar Store, where I picked up these three vases. Three different sized vases from the Dollar Store (here,here and here), dishwasher safe PermEnamel paint in Mediterranean Blue and White (or whatever color you prefer), PermEnamel Surface Conditioner from Michaels Arts and Crafts store, paper towels, paint brush and a mixing bowl. The last picture really doesn’t do the lobby nearly enough justice… to the left there is a wall full of chopped wood and it looks amazing! Check it out if you’re ever visiting Sonoma wine country! 169 responses to Enamel Painted Vases – Easy and Beautiful! These vases look so great! I will definitely try this project. I love the color you chose as well…very Tiffany-inspired. Thanks so much for sharing this information. Gorgeous!!! Total tranformation of those dollar store vases. Those vases look sooo great! They would go great in pretty much anywhere in our place! I must try these! What a gorgeous color those are! This is going on my to-do list immediately. So cool and I love the Color! gorg!!! love that vivid color and how modern they look! excelente! very pretty! love the color you chose aswell! Beautiful! love that Aqua blue color!!! Wonderful idea! What a pretty color! how did you get it so even? I gave it a try and even though I had a generous amount of paint, I still had streaks and blotchy spots… 🙁 I rinsed it out quick so I could try again. Any tips? I bet you could just pour the paint in and let it roll around inside. You won’t even have brush strokes. I never tried this so I am just guessing. I have colored jars with other paints and it has worked. I am going to do this. I hope you will do another or put another coat on it. This time try letting it swirl around in jar. Just my opinion. 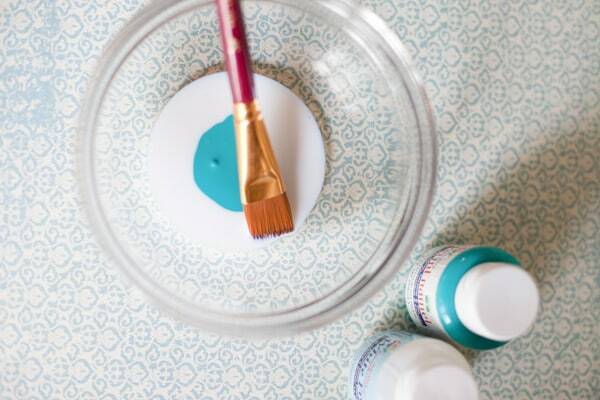 this is a fabulous project….i have been looking for a paint in that color but have only found a much darker turquoise in the enamel paint. thanks for posting that picture, now i can look for it. totally inspired… can i share?? next month we’re doing vase/bottle projects on our site: http://www.FancyLittleThings.com – please let me know if i can link up!! thanks! Gorgeous! They look so high end. Thank you for sharing. I did this (15?) years ago with a ginger jar lamp. Still use the lamp and it still looks great. It really helps when you are trying to color coordinate. This looks like a fun project! I suppose if you wanted to put flowers in it you could use another, smaller glass and put water in that and put it inside careful not to scratch the side of the painted vase, also there are those little battery tea light candles, no flame just a bit of light maybe those would work. Oh my gosh – just saw this on Pinterest! What a brilliant idea and I love how the color turned out. Did you get all supplies at the 1$ store… like the paint too? I too would like to know where you picked up the paints. Michaels or Hobby Lobby? Thanks for the great DIY! Those look beautiful! Thanks for sharing, you’ve got a new follower! I love this idea- I have a ton of empty jars. Im going to have to give this a try! This project inspired me! I bought 20 vases from Goodwill for less than $1 each and set out to create a masterpiece. However, I thought the paint you have pictured was too expensive, so I decided to try a different paint from the craft store (Folk art) BIG MISTAKE! The paint cracked and sunk down the edges, and NOT in a cool way. Luckily it washed right out. I ended up spray painting mine instead, and since I finished them with a clear gloss, they ended up looking very shiny also. So those of you who decide to do this project, make sure you use the paint pictured! Great idea! I’ve spray painted the outside of a vase before but I prefer the look of yours. Love the color too! 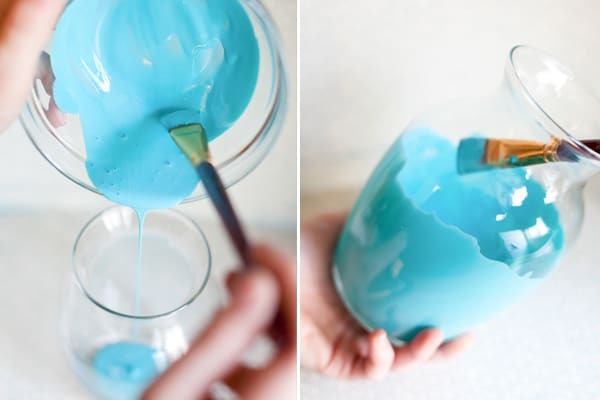 I’m using this great idea to paint clear garage sale vases for a baby shower. I’ll be putting curly willow in the vases, possibly gluing a few pink butterflies and flower buds to the branches. Thanks for the great inspiration!! Thank you everyone for the comments! This project was done over a year ago and I still receive comments on it, so thank you! Feel free to share with anyone as well 🙂 Also, if you have any question regarding paint colors, etc. email me 😉 THANKS!!! this is a absolutelly great idea…going to the dollar store now. Thanks for posting! Followed your directions exactly and it turned out great!! Thanks for the inspiration! Lovely and Nice color!! But here’s my question – They show you sticking the brush in and painting away. But what about those real skinny vases like the ones on the table painted orange in the first picture advertising the article?? Can’t get your hand or brush in there. ??? If you can’t fit a brush inside, the look is still achievable… it just takes a little more time. You have to pour the paint in and swirl until the entire inside it coated. You can cover the top with a napkin and shake the paint around as well 🙂 Thanks for the comment! These are beautiful! I tried painting glass with acrylic paint & it looked ok but the process was so messy! Thanks for sharing the tutorial. Hey I found you on Pinterest, signed up to follow you, love the vases, thank you for sharing. I saw this on Pinterest and came over to check it out. This is something I’m SO exited about trying! Thanks so much! Been looking for a navy blue vase for my bathroom. Now I can do one like this. Thanks for the tip. I’ve been itching to try this the minute I saw your post. My glass vases are drying as a type, can’t wait to see how they turn out!! How beautiful! I’m going to go try this now. So simple, beautiful and creative. Love this project! This is my first time ever being on this site and your project inspired me. Thanks for such great direction. I was sad because michaels where i live discontinued the blue but i was able to get one bottle. Was worried i wouldnt have enough but i did w/ some to spare. Thanks again, i love my new vases! Hello there! I’m following up with this about a year too late, but I was wondering what your recommendation might be if I DID want to seal it so that I could put water in it…any ideas on that?? Thank you!! Where did you buy the paint? I’ve been look for it and I can’t find it!! I just finished doing two vases! one in that gorgeous blue and one in a purple!! so easy to do. For everyone looking for the paints I found mine on sale at Michaels and then the surface conditioner at JoAnn’s. I haven’t checked Hobby Lobby but will go there too just to see if they stock them and get more colors. Love love love this..just need to find a way to seal it so water can go it. 🙂 thank you so much for sharing! I just LOVE these vases. I was on the Michaels web-site but didn’t see the “Perm Enamel paint.” Is it called something else? Do you think this could work on the outside of the vase, so it could be used with water? 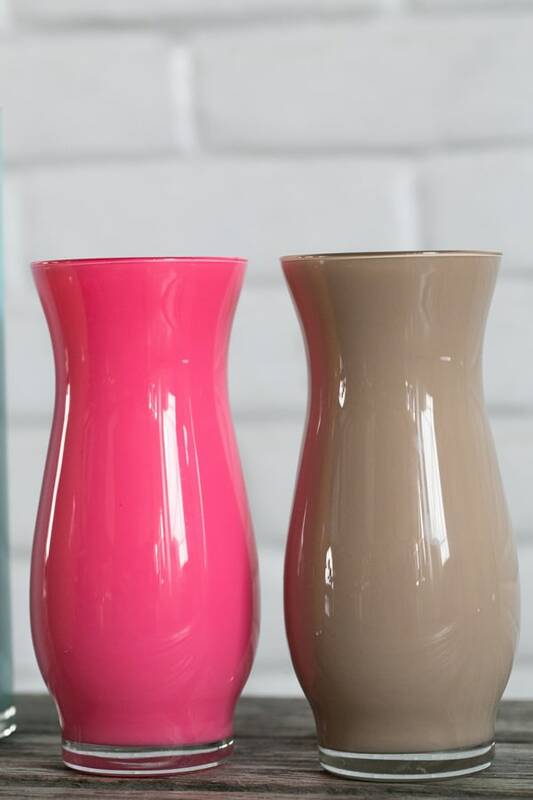 Or has anyone tried spraypainting vases? I love this, but don’t know what I’d do without a vase I can’t fill with water. I have some textured vases, grooved designs in the glass. Do you think this process will work on them if I make sure to get paint in all the indentations? Saw this on Pinterest and repinned it. Hope you don’t mind. Such beautiful vases! I think these would go great in my room! three vases in a dark purple with flowers coming out of them! so cute! How many oz of paint does it take to do 1 vase? Im searching for paint online and most of it sells in 2 oz bottles. How many 2 0z bottles did it take to do the 3 vases. I am guessing 1-2 oz frost white and 2-oz blue? Did this recently. After they were all dried I coated the inside with a waterproof acrylic sealer! Just found this via Pinterest. Wondering if anyone’s learned if there’s a way to seal it so it can be used as a regular vase, i.e. with water. Spray painting the outside, as a couple of you have mentioned, might also be a great way to repurpose these dull vases. 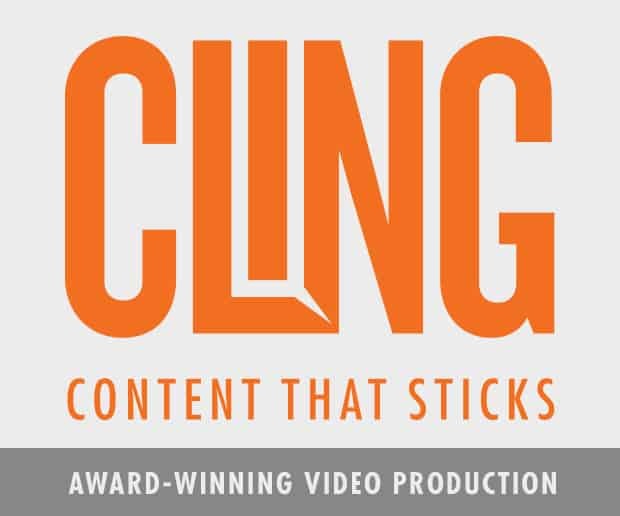 Very cool site, too, lots of great ideas here. check the paint that you are using. I bought an enamel paint and it calls to bake it at 350 for 30 mins and will be hand washabable or top rack of the dishwasher. where did you purchase that beautiful piece of white coral you have photographed near it? I just LOVE how these look! Definitely going to have to try this. Thanks for the awesome tutorial. May I suggest upcycling at Goodwill for any future project. They almost always have tons of vases. Great blog!! I found this via pinterest and did it over the weekend and I LOVE it! Thanks so much for sharing! I don’t see why you couldn’t put water in it. When I looked up the PermEnamel paint, it stated it was dishwasher, microwave and oven safe! I am going to try this with some bottles that I got at Goodwill. Thanks! A few quick questions. 1. How do you “even out” the paint at the bottom? Rag? Paintbrush? 2. Is the enamel safe for flowers if I do want to use them as a vase? thanks for sharing it! i thought doing it is hard but amazing its very easy! Thanks for sharing…these are beautiful. I’ve been thinking of doing this myself but wasn’t sure how to start. Yeah I wanted to know about flowers too!? These are perfect for a bridal shower I’m throwing in a month and I love the color! I LOVE the colors of your vases!! Never kne the Dollar Store could such pretty stuff1 🙂 I’m new to the dipping, so I thank you for your post!! I did this and love it thank you! I thought I was doing this right, but the enamel paint I bought is much thicker and doesn’t really coat the inside without the help of a paintbrush, resulting in a very streaky look. It won’t pour like you have in the first photo. Is it important to use a paintbrush like the one pictured, or can I use the kind with the foam head? Thanks, this is a really cool idea. Can I use acrylic paint? do you have to get the surface conditioner? 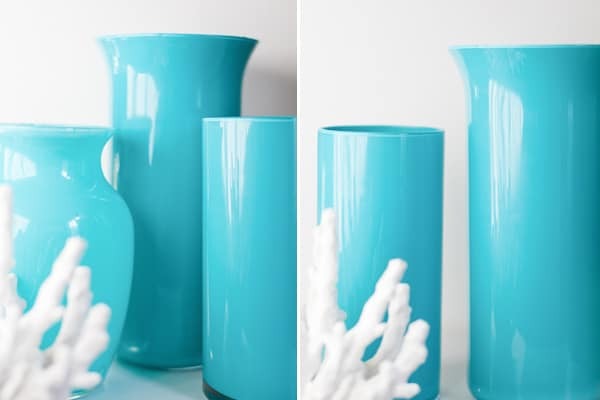 I’m in love with the color of these vases! They are beautiful. This is an absolutely fabulous and gorgeous idea. My sisters and I do this with clear Christmas balls. You just have to pour the paint inside and swirl it to cover, then turn it upside down to dry. I did this project using Folk Art paint. I basically took the whole bottle (it was a large vase) and it rolled the vase around kind of in a swish motion. After I mostly had it covered I turned it upside down for several days to let the excess paint drip out. It checked it and changed the paper plate daily. It was beautiful! However once I put water in it the paint started to peel and float in the water. Such a big bummer since I spent to much time on it! what is the frost paint used for? the outside of the paint looks so shiny and I wasn’t sure you got it to look that or if the paint in the glass just appeared that way. Awesome! I want turquoise lamp bases in my living room. I now know how I’m going to get them! I’ll be on the hunt for clear glass lamps! Wonderful idea. It can sometimes be very difficult to find vases in your specific color especially when it comes to wedding centerpieces. The paint seems to come out looking much more classy when you paint from the inside. I can’t wait to try this out on a couple of vases we had left over form our wedding centerpieces, finally a good use for all those vases! If anyones looking for some vases to purchase and paint you should check out http://www.dfwvases.com they have alot of the cylinder shapes that she has pictured above as well as the ginger jar shape. Works out great! I love it! I’m totally trying it if I can find those paints in here:P. Thanks for the aideas. Do you need to have different heights for the vaes or just 3 different styles. I have a tall one and 2 that are similar in size but are different styles.What are your thoughts? Different sizes and styles would look great! how do you get the top of the vases not to have the dried paint when it is upside down from getting heavy on the rim? They look’s so good! I never can repeat your work! Eden you are very talented! I love the color you picked. It matches perfectly with my color scheme. I’m definitely going to be giving this a try. I have made several if these vases but I don’t use a paintbrush, I just pour the paint in and twirl to spread the color. Works great…. I so love the color! I plan to try these soon. Thanks so much for sharing your great idea! I’m bummed, my Michael’s does not carry the brand of paint you used. 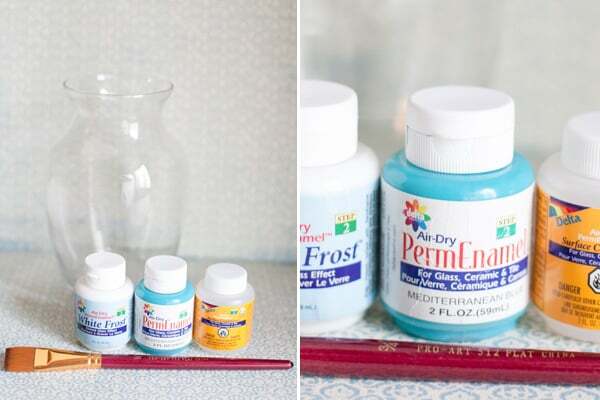 I found the blue in acrylic, can acrylic be used instead of enamel to paint glass. I love these! I have tons of cases that I could really do something with.. So do you only paint the insides and not the outsides? Yay!! Final a craft a non-crafty person (me) can do!! You have done it beautifully, i am really going to try this at home. This things are really good to gift to somebody. Hi 🙂 I loved your vases and used them in a post I wrote about shopping Goodwill for fun items. I hope that’s okay! So creative, thank you for sharing this information fir such amazing transformations. I have a a big smooth floor vase that I bought 15 years ago, but my house colors have changed. I kept it in hopes of painting it to match our current decorations and hopefully putting either greenery or those tall twig things in them. Do you think the process above will work the same on my vase? I tried to do this but when it tried the top part of my vase shows paint brush strokes. Do you think if I use a sponge brush that would solve my problem? Can you put water and real flowers in those vases? Hey Elaine! Thanks for the comment! Because it’s enamel paint, you can put water in them, but the finish may not last as long. It may remove some of the paint eventually. Thanks again! can you add flowers ( fresh )? would the paint stay if I were to put a candle inside of the jar???? I am wanting to do this product. I can not find the Permenamel paint anywhere but online. I would rather see the color in hand before purchasing. Do you recommend any other brands? Please be specific if so. Hi, I love this idea. I have some lovely enamel paint samples I just bought from Home Depot, can I not use those with the perm enamel conditioner? Hi Margaret, I think they would work with or without the conditioner. I made a few recently and skipped the conditioner and it worked fine. Hope that helps! Did you have an issue with air bubbles in the paint? I made your beautiful vases with a young friend of mine a couple of days ago and they turned out beautiful! However, I did have one problem maybe you could help me with. The insides of the vasees do not look pretty – lots of brush strokes visible – although not from the outside. I was wondering whether you may be using a LOT of paint because I did not have a lot drip out as you did when I turned the vases upside down. I was thinking of the alternative of painting the top two inches or so of both the inside and the outside in silver. What do you think? Thanks for this idea. I really love the results. I will SO be painting vases soon! Thanks for the tutorial. These look amazing! I plan on making these to put up in our new home when we move! I went ahead and let my readers know about this great tutorial though. I can’t wait to make them and show them off! LOVE the look of theses vases! I have so many left over from my wedding that I would love to do something like this with them! The only thing is that I cannot find the paint anywhere at michaels 🙁 do you know of anything else I can use?! Hi Lindsay! Any enamel paint will do the trick!! Martha has some great all-purpose paint that would work too! Thanks! I did find the Martha Stewart brand and picked up a couple of them. What do you recommend for the PermEnamel Surface Conditioner since I can’t find that? It is necessary? Also, I noticed that you mixed the blue and white together in a picture above. Was that just to achieve the color you wanted? Or was there another purpose for the white? I am going to try those vases. Me encantan como se ven, yo reciclo todos los frascos de vidrio y desearía pintarlos, vivo el La Paz B.C.S. México se consiguen aquí o me los pueden enviar? Saludos y gracias por compartir tanta belleza. Un saludo! Me refiero a las pinturas! These are SO SWEET!!! I love them. I think that painting the insides of some of my mason jar lanterns would be adorable (we use them as vases, too). Do they do pretty well with water in them? Tudo muito lindo. Quero fazer também. Transformar coisa simples em belas peças,tem que ser muito habilidosa. These vases look absolutely stunning in white! What a fantastic way to dress them up, Gail! ???? I love the vases but I was looking for a way to fix what I did. I painted the outside of the vase an it was not a glossy paint an I put it in the oven to bake it on but it is dull looking an I was wondering what to do to get the glossy look. The vases you showed are so pretty I just wish I could make my that pretty. Can you help? WHAT IS SURFACE CONDITIONER, AND WHERE DO YOU BUY IT? You can buy it at a craft store next to the where you will buy the paints. Beautiful enamel plates! Nice colors and shapes! Holy wow! I have lots of vases from the thrift shop and never even thought of doing this!! I now have another DIY project to make! Thank you for this!! Wow, these look awesome Eden!! I’ve got a huge glass vase-thing in the garden that I’ve been looking to make use of so I might follow this technique but blast it inside with a spray gun instead! Yay!! So glad you like it and thank you for the sweetest comment! Hope it turns out amazing!!! Hi, I love this idea. thanks you! I followed your directions and my vases are gorgeous. I painted three vases of different heights (purchased at different times) and they now make a lovely, cohesive accent for my entry table. Yay! Love hearing this! Thank you for the sweet comment!! I love the vase, it is so shiny and pretty! I will totally have to try this!